Welcome to Everest Collegiate High School! If you’re looking for an authentic Catholic school of distinction that focuses developing firmly grounded, highly achieved individuals through the complete formation of the human person, consider the Everest experience. 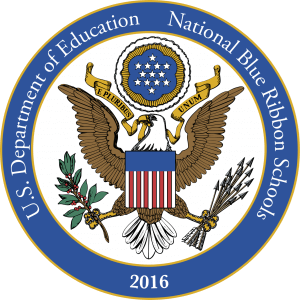 Everest is one of 50 private schools in the U.S. and the only private school in Michigan to be awarded National Blue Ribbon honors as an Exemplary High Performing School in 2016. Rigorous and balanced curriculum that includes AP and honors classes. In 2016, the average ACT score was 26.96 (compared to national average of 21.0). Small class sizes have an average 10:1 student-teacher ratio. Single gender education on a co-ed campus. Since 2012, Everest Collegiate has been recognized as a School of Excellence by The Cardinal Newman Society. Christ-Centered, Authentic Catholic Educational Experience. Complete formation of the human person which forms intellectual, spiritual, moral, and social beings. Daily Mass and Communion service. Monthly Reconciliation available and on demand. Legionary Priests, Brothers and consecrated lay women on campus daily. Senior capstone trip to the Holy Land. Annual spiritual retreats for each grade. Pilgrimages to historic Catholic sites. Monthly Eucharistic adoration, prayers for vocations, and prayer to begin and end each class. Parent Program to nurture strong Catholic family values. Out of devotion to the Sacred Heart of Jesus, the entire school participates in First Friday Mass each month. 20% of High School coaches are former college athletes. 18% of high school graduates are currently competing in collegiate level sports. Since its inception in 2008, Everest Collegiate High School has fielded 65 championship teams. Intramural sports offered for Lower Elementary. 15 school clubs and activities offered for High School students. We hope you’ll join us for the Everest Collegiate High School Open House on October 25th from 7-9 p.m. to find out why becoming a Mountaineer will be the best decision you make this year. 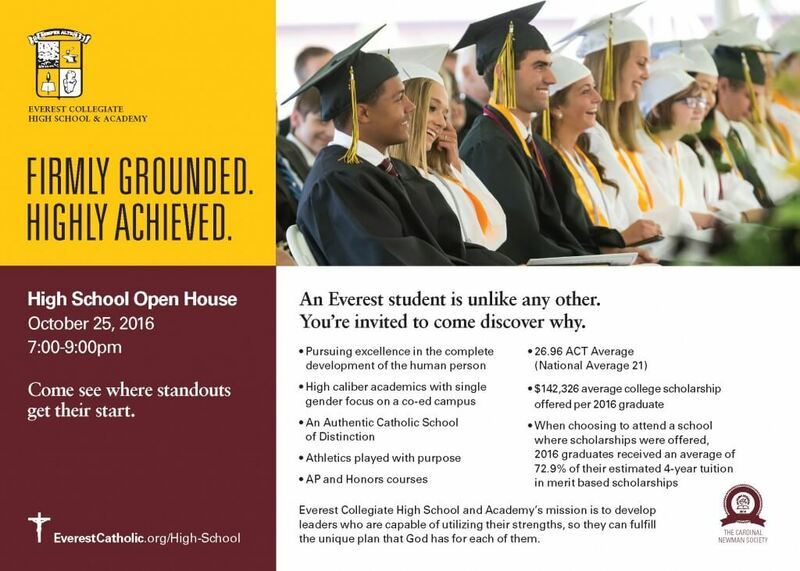 For more information, contact Sue Lowney, Director of Admissions at (248) 241-9012 or at slowney@everestacademy.org.